Calgon Carbon provides critical technology to hemodialysis clinics. Our advanced activated carbon products are used to remove chlorine and chloramines from the water in hemodialysis clinics to protect the dialysis membranes. Our products help produce the highest purity of water for dialysis to meet the most stringent medical and industry guidelines. Contaminants like chlorine and chloramines used in municipal drinking water as sanitizing agents can actually potentiate hemolytic anemia when present in dialysate. Granular activated carbon (GAC) is a reliable, practical method for removing chloramines. Since water is the primary constituent of dialysis fluid, hemodialysis patients are exposed to extremely large volumes of water. Hemodialysis patients may not have adequate defenses to handle the contaminants found in such high volume municipal water. Calgon Carbon serves several markets within the medical field. 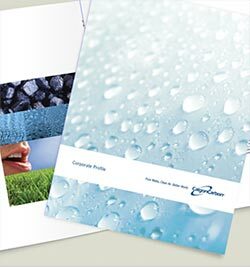 Each application has specific needs but all require the highest degree of quality and performance, and they trust Calgon Carbon products for consistent, high quality performance. Activated carbons can remove contaminants like chlorine and chloramine that can be harmful to the patient from the water used for dialysis.